Do not know what to do with a gift? Give your beloved ekolo.cz voucher to your chosen value. 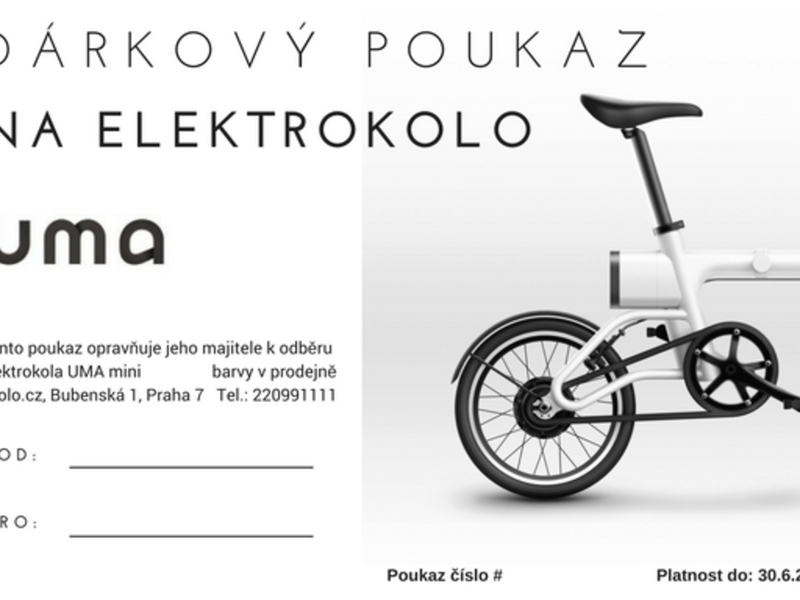 Do you want to donate an electric wheel, but are not you sure of type or size? Perhaps even a color combination does not have to enjoy a gifted person? Or do not you know what kind of bike supplement would make you happy? 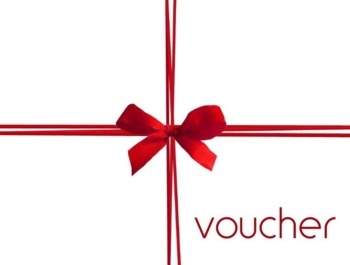 Give your loved ekolo.com gift voucher and let them know exactly what they choose for us. Choose a fixed gift voucher value, or choose your own (for example, the value of the elec- tricola - in this case, buy the Voucher of 1, - CZK and enter the amount in the note). In this value, the recipient himself chooses what goods to choose. Any discrepancy in value on the item and the price of the item will be charged. In case of lower value of goods, the cash can not be returned. 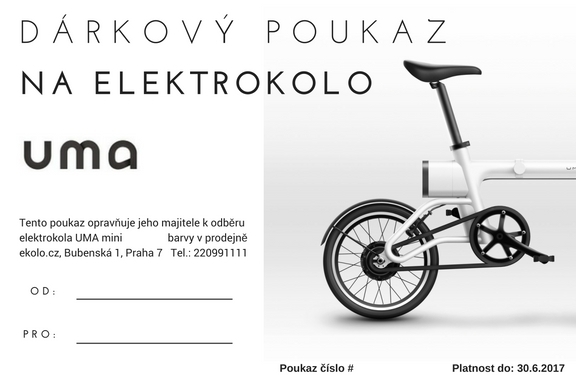 The voucher can be used for any product from the ekolo.cz range - electric wheel or accessories. 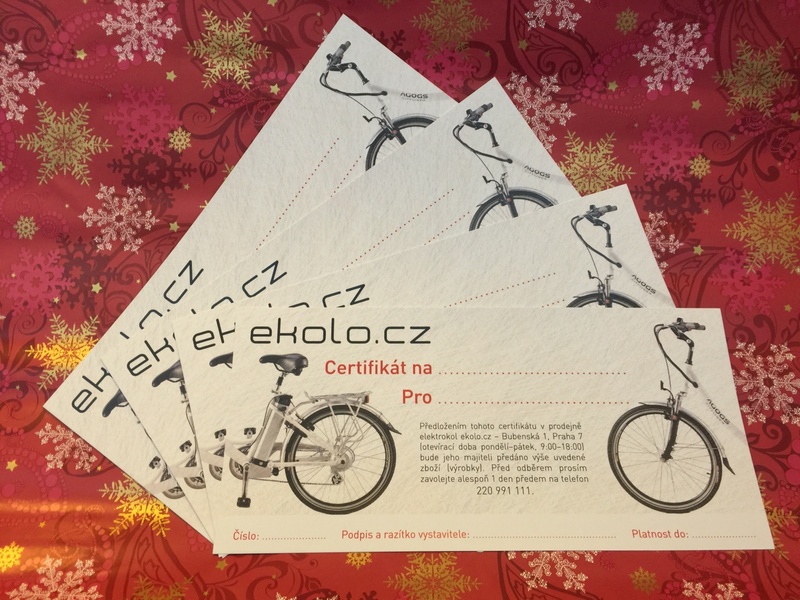 You can pay the voucher with a credit card in the eshop or in cash at the ekolo.cz shop. Or send it to you by cash on delivery. 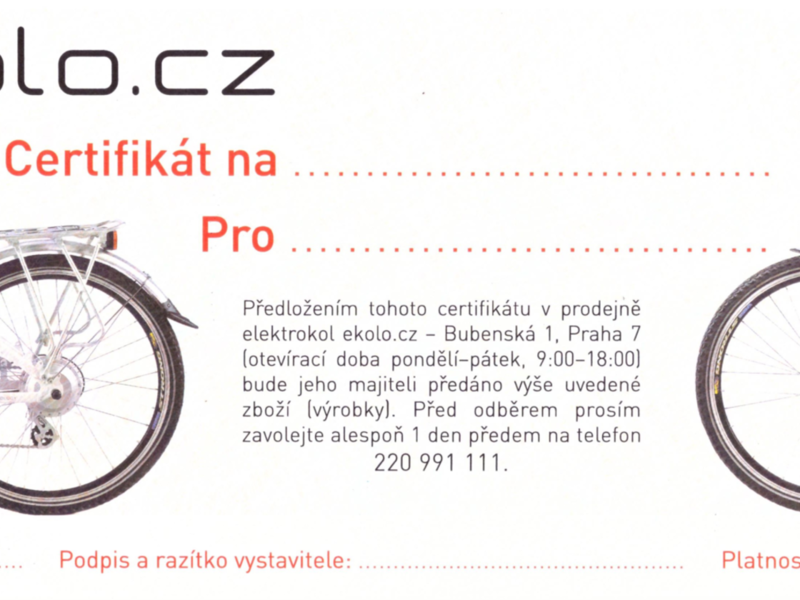 The voucher can be used at ekolo.cz. 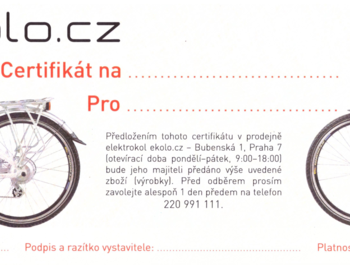 It is valid for 1 year from purchase (or availability of specific goods). Please understand that the goods paid through the coupon for verification can not be sent by the transport service.